As per the changing environment need of medical services rises with a great pace. And in this aspect they impart standardized pathology tests, because of which we became a franchisee of SuperReligaire Laboratories. Diagnostic Affair is the leading name affianced in offering Medical assistants with a vision to eradicate the vital diseases. In other words it’s a part of the administrative aspect of healthcare that holds expertise in the clinical tasks to support the patient suffering from health problems. Their area of specialisation lies in Consultation Specialization, Digital X-Ray, Laboratory Services, Special Services (Religare Laboratories), and Ultra Sound Scan. For imparting effective medical facilities they possess the team of Physiotherapists, Dermatologists, General Physicians, ENT specialists, Gynaecologists, Ophthalmologists, Paediatricians, etc. Their extensive analytical portfolio comprises of histopathology, biochemistry, hematology, serology, microbiology, and endocrinology. In addition to that they earn huge appreciations among the medical fraternity to impart accurate laboratory services where absolute diagnosis is done with utmost exactitude and faultlessness. As far as the infrastructure is concerned the Diagnostic laboratory is well-equipped with all the necessary amenities and equipments required to carry out the varied medical tests. 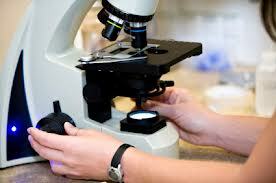 The chemicals, lab accessories and equipments, etc required in different tests are regularly checked and updated. The prime vision is to impart quality, bespoke service for the patient. Our area of speciality lies in Religare Laboratories for different types of tests and diagnosis. People from different parts of India come here in Religare Laboratories in Bangalore for different tests and diagnosis requisites. The lab is equipped with all the facilities and technologies needed for carrying out critical Laboratory tests and reports even. We do have some plans in the pipeline regarding adding new machines to the clinic: 4D Ultrasound Machine, ECG, and Digital Dental OPG X-ray Machine. Apart from that we conduct minor OPD procedures (in Gynaecology, Gastroenterology, Dermatology, and more). When it comes to the teammates the paramedical team comprises of experienced nurses, staff and sub staff, Physiotherapists, Dermatologists, General Physicians, ENT specialists, Gynaecologists, Ophthalmologists, Paediatricians, etc. Proper diagnosis of children is an important thing, parents never compromise with. Seeing a highly qualified doctor and specialist for the better health of your child is one the most major concern of your life. A doctor making your child comfortable and examining him or her in the most efficient manner is considered by you for further references. Timely vaccinations and proper treatments for children is essential thing that should be looked after by the parents. The vaccinations help in increasing the immunities in the body of the children thus, protecting them from the diseases. 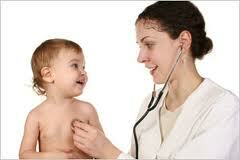 Today, there are a number of diagnostic centers that are providing the facility of pediatrician or child specialist. 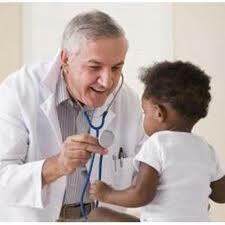 The pediatric doctors are immensely qualified and understand the problems that are common among the children. Providing effective treatments to the children, the child specialists hold excellence in providing proper consultation to the parents regarding the health of their children. Moreover, they make sure that the treatments are not very strong that a child’s body cannot bear. Usually children have less immune system in comparison to adults. It is good and important that you being responsible parents should proper research before choosing a child doctor. Finding the perfect doctor that understands your child is a difficult job. One of the credible centers, diagnostic affair is a known child health specialist in Bangalore. This center has been engaged in providing treatments for various medical problems to a number of patients. It comprises a special pediatric wing that looks after the problems of the children. Highly qualified and experienced child specialists have been appointed by diagnostic affair in its panel of doctors. Special laboratory and health clinic is situated in Bangalore that has been providing impeccable medical services. Diagnostic Affair has been well equipped with all the essential tools and medical equipments that help in undertaking the diagnosis and treatments of children in an efficient manner. The pediatricians are proficient in providing valuable consultations to you for protecting your children from medical disorders. These consultations also make the parents adopt better and nutritious dietary plans for their children and other safety measures against ailments. Te medical consultations are provided after undergoing the proper analyzing of the particular child. Being one of the leading diagnostic centers in Bangalore, we have been also involved in providing the facility of vaccination for the children. Baby vaccination is done by the expert doctors at the center. The doctors keep a proper track record of your child’s age and earlier medication doses that may be given to him or her. The child specialists make sure that you visit the diagnostic center on timely basis in order to get your child properly vaccinated against the diseases. Whether your child is sick or not, he or she may always require a regular check-up by a qualified childspecialist. So, finding the right person for your child’s better health is an essential task for you. Providing beneficial consultation and vaccination facilities diagnostic affair serves as a noted center for child treatments. Physiotherapy is a way of recovering from injuries, impairments and disabilities without any medication. Physiotherapy treatments are easily available in the market. Diagnostic Affair is one such organization that has acquired huge acclamation in offering Physiotherapy services for Women Health, Geriatric, Orthopedic and many more. The company established in the year 2008 with tremendous excellence in offer pathology services like Digital X-Ray, Laboratory Services, Ultra Sound Scan and various other Special Services. Apart from this, the company maintains a clean and infection free environment so as to ensure good health of patients while rendering physiotherapy treatments. 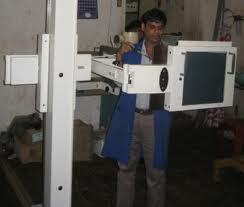 The company has appropriate machinery and equipment that facilitate effective carrying out of Physiotherapytreatments. All these equipment and machines are designed to offer maximum pain relief to your injuries and disabilities. Being sourced from the well-known manufacturing companies of the industry, these equipment and machines enable the Physiotherapist to offer you with extremely reliable and effective treatments. Moreover, our professional Physiotherapists always stand beside you to provide proper guidance for using these equipment and machines. These professional Physiotherapists make sure that you use these equipment and machines properly, so as not to invite any other injury. With these advanced machines and proper guidance, you can quickly get rid of your injuries. In order to render effective and result oriented Physiotherapy treatments, an engaged organization must have support of highly qualified and experienced Physiotherapists. Diagnostic Affair has a team of well-qualified and experienced Physiotherapists who have extensive knowledge of the field. The procedures of physiotherapy, if not applied carefully, can lead to further disabilities and injuries. Professional Physiotherapists of Diagnostic Affair hold extensive domain expertise and render Physiotherapy treatments with utmost perfection. Physiotherapy treatments are proved to be beneficial in curing sports injuries and are also offered for wound care, EMG and cardiopulmonary. Treatments through Physiotherapy take time to heel your injuries and disabilities but it saves further similar injuries. Physiotherapy treatments offered by Diagnostic Affair are gaining prominence in the market day by day due to their assured results and extreme effectiveness. You are required to pay for only what you get in terms of relief as the company charges affordable rates for offering Physiotherapy treatments. The team of doctors and Physiotherapist of Diagnostic Affair has acquired a distinguished name in the industry as it serves you with best and effective Physiotherapy treatments. These doctors carefully and properly examine the exact condition of patients and accordingly provide Physiotherapy treatments. The centre has different time duration for different types of Physiotherapy treatments or as per their injuries. Apart from this, you can avail these Physiotherapy treatments from this diagnostic centre as per the prescription given by your doctors. You can avail these Physiotherapy treatments from this diagnostic centre for any kind of disability, bones or muscle injuries. For these Physiotherapy treatments, you are charged pocket friendly prices. In addition to this, Diagnostic Affair works in accordance with the defined standards of the medical sector, thus treating huge number of patients through effective Physiotherapy treatments. With increasing development, mankind is also confronting different types of diseases. But with medical development, science has also been constantly developing different vaccinations against such diseases. "A vaccine is a biological preparation that establishes or improves immunity to a particular disease." 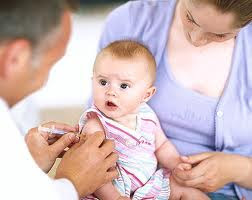 Vaccines are of following types including prophylactic (for preventing or ameliorating the effects of any possible future infection by any "wild" or natural pathogen) or therapeutic (vaccines against cancer also being investigated). The term vaccine was derived from Edward Jenner's 1796 usage of cow pox terms (Latin variolæ vaccinæ, adapted from vaccīn-us, vacca cow in Latin), which administered to human provided protection against the small pox. Traditional vaccines: Dead microorganisms containing vaccines, Live-attenuated vaccines, Toxoids, and Protein subunit. Doctors prescribe various such vaccines for pregnant women, adults, and children to safeguard them against several possible diseases. 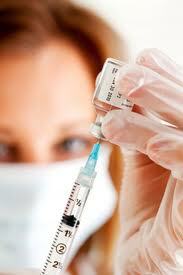 Due to the necessity of these, people always look for reliable centers for getting vaccines in proper way/method. For those, who had been looking for expert doctors and reliable vaccination center in Bangalore, Diagnostic Affair is the best answer. Diagnostic Affair has well-equipped facility, wherein diagnosis for all types of diseases and carried out, and afterwards suitable treatment is provided. Diagnostic Affair provides all sorts of vaccinations for various diseases for patients including Typhoid Vaccine, Yellow Fever Vaccination, Polio Vaccine, and Hepatitis B Vaccine in Bangalore, India. The centre has trained professionals for vaccination, who hold complete knowledge about vaccination purpose, quantity of vaccine to be given and the allied respective procedure. The services of Diagnostic Affair are excellent, as the experts ensure that proper vaccination is carried out for effective respective results. Also, extreme hygiene is maintained at Diagnostic Affair in terms of facility, instruments, syringe, etc, in order to impart patients an infection free and clean environment and for effective treatment. The qualified professionals at the centre provide patients and parents with knowledge about the effects and purposes of vaccine. 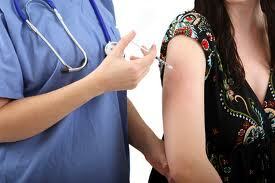 The charges for the vaccination are reasonable at Diagnostic Affair and patients can take prior appointments also. Are you searching for reliable and credible Digital X-Ray Services then you have come up to the right place at Diagnostic Affair. This conglomerate is having an admirable Digital X-ray facility that is rendered using well-installed latest X-Ray Machines. The testing facility of our Digital X-ray in Bangalore is highly admired for its reasonable expenses and reliable reports. The firm has recruited some of the best digital X ray specialists in Bangalore who take their job seriously and carry out the process with a great attentiveness. 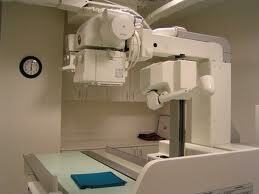 Medical X-Ray facility provided by the firm makes diagnosing the problem even easier for the doctors. In addition, the firm has digital O.P.G facility in order to carry out the test. This Ortho Pantamo Gram machine assists in scanning and deriving panoramic dental X-ray of upper and lower jaw. This range is known to display a two-dimensional view of half-circle from ear to ear. All this procedure is carried out expertly and apt results are provided to the patients for a reliable treatment. Cutting-edge machines installed with us are regularly checked and upgraded in order to provide the finest and much accurate x-ray results. You will be satisfied with our services, as the at Diagnostic Affair has modern X-ray system equipped with state-of the-art X-ray imaging technology. The machine provides high resolution and ultra-clear images for easy object identification with the latest technology of image processing. 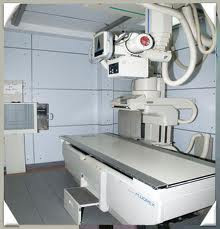 You can avail this wide range of Digitally Operated X- Ray machine facilities from Diagnostic Affairs. 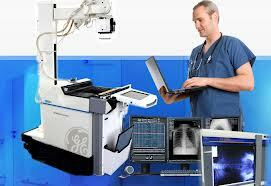 The Digital X-Ray in Bangalore is rendered as per the international standards of quality. 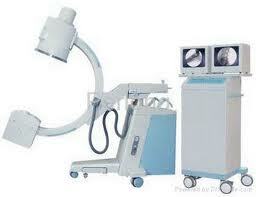 All these machines are designed using latest technology to give you the best results. These machines are easy to install and use latest technology, ensuring credible results. Manufactured using optimum quality raw material, these machines are assured for their longer functional life. The Digital radiography provides the ability to the technicians in order to store the images on a computer. This DigitalRadiography in Bangalore provides two key advantages over film in the form of full screen images that can be enhanced and zoomed in on, aiding diagnostics and thus, providing easier patient communication. 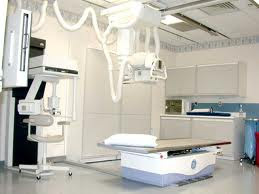 Being a renowned provider of Medical X-Ray in Bangalore, the firm Diagnostic Affair uses the latest technology of Computed radiography (CR). 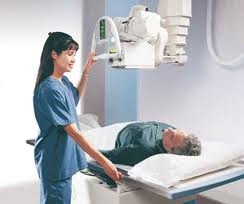 This technique uses very similar equipment to conventional radiography. In this procedure instead of taking an exposed film into a darkroom for developing in chemical tanks or an automatic film processor, the imaging plate is run through a special laser scanner, or CR reader, that reads and digitizes the image. Thereafter, this digital image can then be viewed and enhanced using software that has functions very similar to other conventional digital image-processing software like contrast, brightness, filtration and zoom. Diagnostic Affair, a franchisee of Super Religaire Laboratories, is a prominent name in the medical industry offering highly reliable pathology services, laboratory services, ultrasound scan, Physiotherapy and various other special services. These other special services include SRL Diagnostic services like hematology, biochemistry, histopathology, endoscopy, microbiology, endocrinology and serology. Diagnostic Affair boasts of its highly qualified and well-trained staff that enables it to render and conduct all the pathology services and other special services with perfection. This renowned diagnostic center believes in serving its patients with utmost care. You can collect your diagnosis reports according to the type of test and the time required perform it. Additionally, you can immediately collect the reports of X-ray and ultra sound scan that will help u consult your doctor as soon as possible. The company also offers home collection facility of test samples required to conducting prescribed tests. Appropriate packaging of these samples is ensured by the staff of this company. The company renders all its services with the help of digital and advanced equipment like X-ray machines and ultra sound scan machine. Apart from this, the company uses modern equipment to prepare test reports with maximum accuracy. You can be assure of safe and hygienic storage of your test samples as the company make sure that they do not get contaminated by any means. Not only the home collection facility of test samples, you can also avail the facility of corporate camps that are organized by Diagnostic Affair for rendering all kinds of tests. The support staff of the company helps it to install all the necessary equipment and devices required to carry out tests. These corporate health camps aims at creating awareness regarding the solutions of different health problems and are organized at different places. The bracket of special services offered by this company includes arrangement of various Health Camps for orphanage kids & schools. Various medical camps are also arranged for schools. Proper medical checkups are performed at these health camps by the professional and trained staff of this company. These health camps are organized for imparting tips to children about how to maintain good health. Additionally, these camps are effectively arranged and are extremely beneficial for growing kids. You can be assure of accurate diagnosis and clear images of your reports and films as the company render these specialmedical services with extremely advanced diagnostic imaging equipment. Moreover, the knowledgeable and friendly staff of this company ensures convenient appointments and exceptional patient care. The company also ensures that these special medical services are rendered within the committed time period. 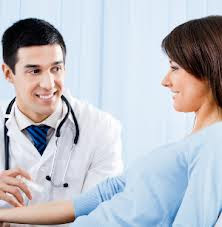 You are charged reasonably for these special medical and diagnostic services at Diagnostic Affair. All the tests are conducted under strict hygienic conditions so as to ensure accuracy in tests. Apart from this, the company professionals ensure that accurate reports are offered to you as quickly as possible so that you can consult your doctor immediately for the cure of your illness. Ultrasound scanning is a medical term that is used for that makes use of sound waves for creating images of organs and structures inside your body. Free from the usage of radiations, this process is harmless and thus, widely recommended by the doctors. 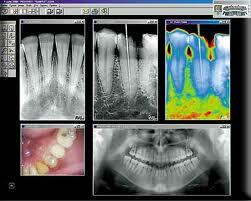 Based on advance technologies, ultra sound scanning is used for a number of medical treatments. It is used for monitoring the growth of the unborn child, for finding out the abnormalities in the heart structures like valves and many more. Moreover, these tests are also useful in finding out the abnormal widening of blood vessels in the human body. It is a painless process that helps in examining the internal body parts without causing any cuts and surgeries. With growth in the medical sector, the techniques of ultra sound scanning are also advancing. There are a number of diagnostic centers, hospitals and pathology labs that are providing the facility of ultra sound scanning to the patients. 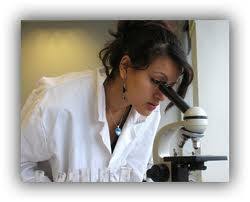 One of the credible and well known centres involved in offering this service is Diagnostic Affair. This centre has been well equipped with latest medical equipments and tools for carrying forward respective tests and scanning process for your treatments. Proper safety measures in compliance with the medical sector are followed by diagnostic affair. 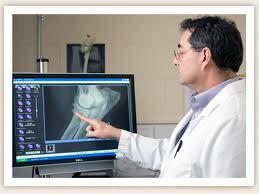 This diagnostic centre has a team of experienced doctors, who possess years of experience in this field. Extreme care is taken by them while performing the ultra sound tasks thus, avoiding any chance of mishap. Accurate reports are generated immediately after conducting the proper analysis of the tests. The doctors make sure to understand the exact problem of the patient and conduct the test accordingly. 4D Ultra Sound : This type of ultrasound makes use of a unique sonogram machine that captures images from different angles thus resulting in revealing detailed images of fetus. 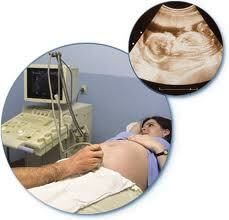 Baby’s movements during the process are also captured through this particular process of ultrasound. Advance machines are used for carrying out these tests those results in having appropriate and accurate reports for the process. 2D Ultra Sound : The process of 2D ultrasound works on the concept of sound waves that bounce off the objects inside pregnant women thus, producing an image of growing fetus. This process takes a time of 20 to 30 minutes and is absolutely safe and reliable for both mother and child. Being a reliable way for determining baby’s age, due date, identifying multiple pregnancies, to check for obvious birth defects and monitoring baby’s growth and movements, this process is adopted by various medical centers. Color Doppler : Another important type of ultrasound scanning is Color Doppler ultrasound. This process is an impeccable medical imaging technique that is used for visualizing the blood flow. Usage of color processing by the machine, adds colors to the image thus, providing doctor with a clear view of the happenings within the body.